How Can Running Affect Your Dental Health? When you think of the health problems that can come with running, physical injuries probably come to mind first. Runner’s knee, plantar fasciitis, hamstring issues, stress fractures—the works. We’re all too familiar with these injuries. But there are other health concerns that you have to keep in mind too. 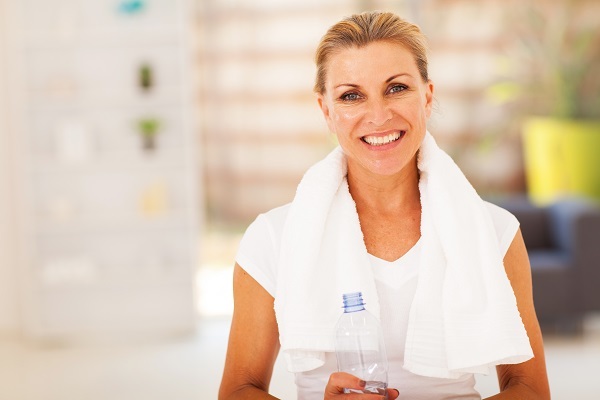 It might not be apparent, but studies have linked regular exercise to teeth erosion and cavities. Even if you don’t actively use your teeth when running, there are a number of ways the exercise can impact your oral health and put it at risk. Runners need fuel. And more often than not, this comes in the form of carbohydrates. All the sports drinks, bars, and even the pasta and potatoes you consume can linger in your mouth, where they can break down and cause decay. A carb-heavy diet can also lower your mouth’s pH level and lead to various other dental problems. Also, as running is an intensive sport, we have a tendency to breathe heavily through our mouths. This can dry out the mouth and affect the amount of saliva produced, which we rely on to keep bacteria and plaque away. The composition and consistency of your saliva actually changes—from lubricating to sticky. Instead of rinsing away sugars and acids, it traps them. It’s clear now that runners and other athletes are prone to dental problems. But does this mean you have to put your running career on hold? That’s not necessary. You just have to take certain measures to keep your oral health in check. You don’t have to cut out carbs, sugar and acidic sports drinks entirely from your diet, but you’ll need to consume them with caution. If you can, opt for foods that are readily soluble so they don’t stay in your mouth and feed your mouth’s natural bacteria. You also have to make sure that you drink water regularly. Water can give your mouth a respite among the sugar-heavy and carb-heavy food you’re eating. It also reduces your cavity risk. What’s more, water helps keep saliva production steady, which can alleviate tooth decay. While there are many ways you can improve your oral health on your own, it also helps to consult with the professionals. Dentists can help recommend solutions for specific issues you may have. But don’t wait for problems to crop up before you schedule a checkup. Any professional would tell you that it’s much better to practice preventive dentistry. Prevention, after all, is better than cure. We’ve established how breathing can indirectly affect your oral health. So, if you haven’t already, you should consider breathing through your nose rather than through your mouth. You can also chew gum during training, running, or even just throughout your day. This can help prevent plaque from building up on your teeth.